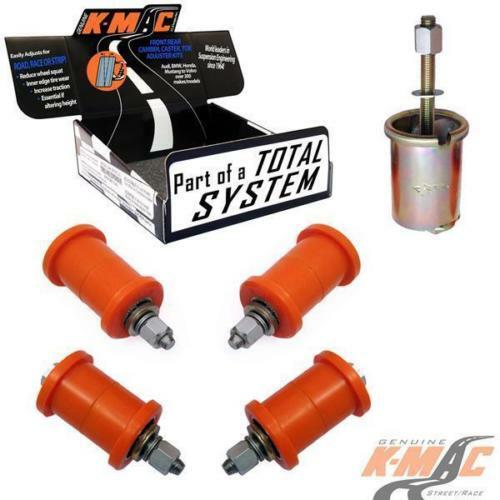 K-MAC patented design allows precise Camber and Toe adjustment for the first time. Single wrench adjustment (under load) direct on alignment rack. Resolves costly premature inner edge tire wear and improves traction. Bush extraction and insertion tubes supplied. 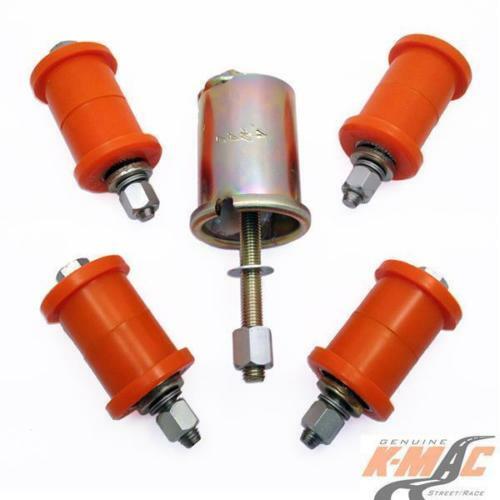 K-MAC patented design allows precise Camber and Toe adjustment for the first time. Single wrench adjustment (under load) direct on alignment rack. Resolves costly premature inner edge tire wear and improves traction. Essential if Lowering, Load carrying or when expensive low profile tires fitted. 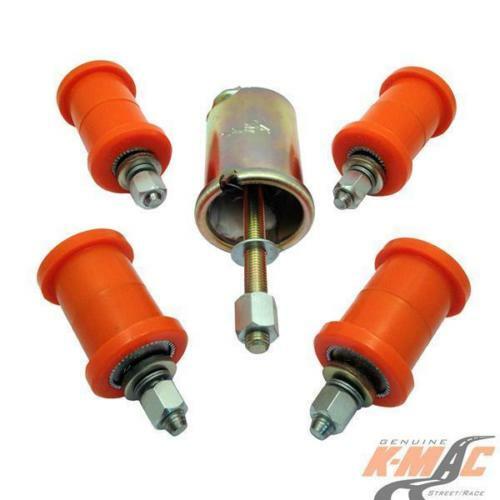 K-Mac unique 2 axis design provides the Biggest adjustment and load bearing area for extended bush life. Bush extraction and insertion tubes supplied.